E-commerce in Nigeria is booming. Virtually anything you want to buy has a website selling it. I once stumbled on an online shop that sells only printed T-shirts. These days, if you decide that what you want to buy is a Hybrid Dual Fuel Carburettor to convert your petrol-powered generator to a gas-powered generator, you’ll find it online. There is also an increasing number of businesses using the power of photo-sharing services such as Instagram for product promotions and even sales. 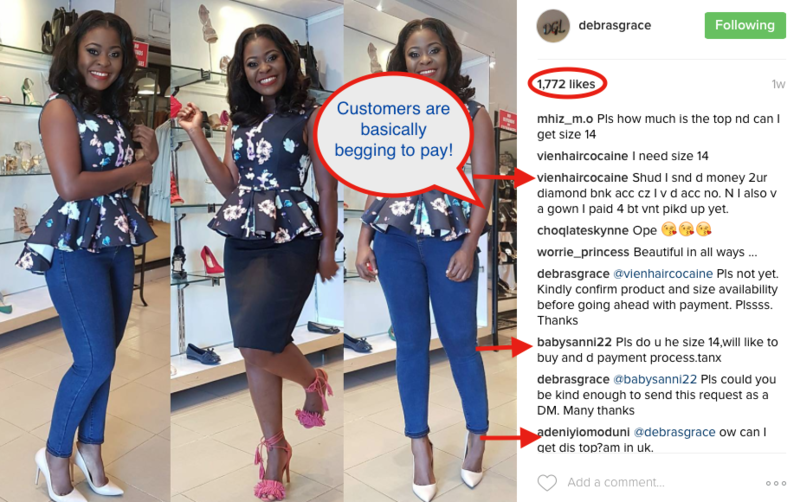 Debrasgrace for example is a fashion retail instagram page that manages to pull interest from 1,700 customers and confirm up to 10 sales per picture without as much as a functioning website! Other Instagram-heavy presences in the Nigerian commerce space include Dainty Affairs (cakes), Living in Lekki (all about Lekki) and Glover Court Suya (suya). Instagram affords these businesses the opportunity of promoting their products through pictures and short videos. For ecommerce giants such as Konga and Jumia who permit “one man businesses” to sell merchandise through their platforms, it is difficult to set up shop without uploading quality images as the giants impose strict quality guidelines on picture uploads. If great photographs can make money for a business, and conversely, bad photograph have the opposite effect, it is obvious that there is an unexplored niche in product photography. Photography which is aimed at busy entrepreneurs who want to spend their time focusing on their business is a great way for a keen photographer to make money (and help a business make money too). Online stores are increasing and a good number will need the services of product photographers. Even established stores might be open to better options. This is where you come in. I will recommend writing a business plan before starting. It doesn’t have to be a 30-page bank requested document. A 5-page concise blueprint is enough. The basic idea is to have a rough sketch of what you need and how you are going to succeed in the business. Like every business, advertisement and marketing is key. You have to get word out about your services to potential customers. These include big time online shops, Instagram sellers, and other shops who have online presence etc. For the latter, there are some phone shops that have websites. I have noticed quite a few use stock photos or badly taken images. Go through several websites, identify how you can deliver better pictures, meet and discuss with them. You can peg pricing at N200-N300 per item. Also, offer incentives such as bulk pricing, free trials, etc. Bottom line is to provide tangible reasons why they should pick you over other alternatives. Before launching out however, you will need to have the required skills. Taking the picture i.e the actual photography. Post processing is what sets you apart from any other person with a camera. Image editing can be done with different pieces of software. One of the more popular choices is Adobe Lightroom which allows for batch-editing as opposed to single picture editing in other softwares. Other software options are Adobe Photoshop, .GIMP, Corel AfterShot Pro 2 etc. You don’t really need to master editing softwares before starting the business. You can do what I call ‘selective learning’. Here you learn and master the processes for editing product photos. As you grow, you can learn other things. A YouTube search will yield tons of tutorial videos while paid courses are also available on Lynda and Udemy. A DSLR is the best option here. For starters, you can work with the 18-55mm lens that comes with DSLRs. 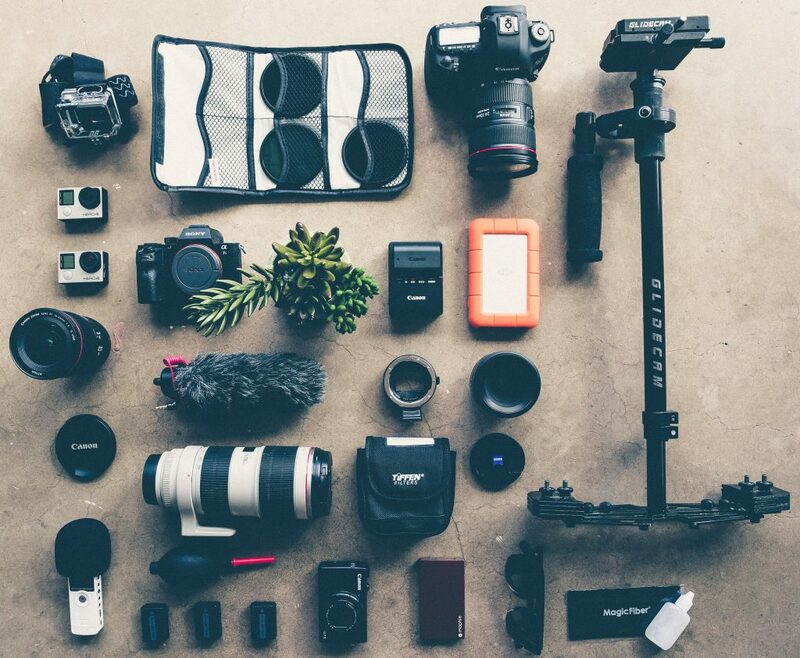 Here’s a list of best entry DSLR for 2016 to aid your search. A light tent is a very important tool in product photography. You can make one yourself or buy. To avoid blurry images it is best to get a tripod. A sturdy makeshift surface may serve. Nevertheless, a tripod makes taking still pictures easier and less time consuming. You might already have a laptop which will save some cost. The business is mostly mobile so there is little need for a shop and what comes with it. A good laptop battery and NEPA should solve power needs to a great extent. All in all, the minimum cost to start this business is in the region of N250,000. Assuming you charge N300 per item, 50 items a week will give N15,000. Bar transportation and calls, You don’t have much running costs, especially as a portion of your work won’t be dependent on the availability of electricity. Seek to build trust between you and customers. Customer satisfaction will most likely lead to referrals which is more business for you. Another thing is to keep innovating. Never stop learning new ways to improve your service.